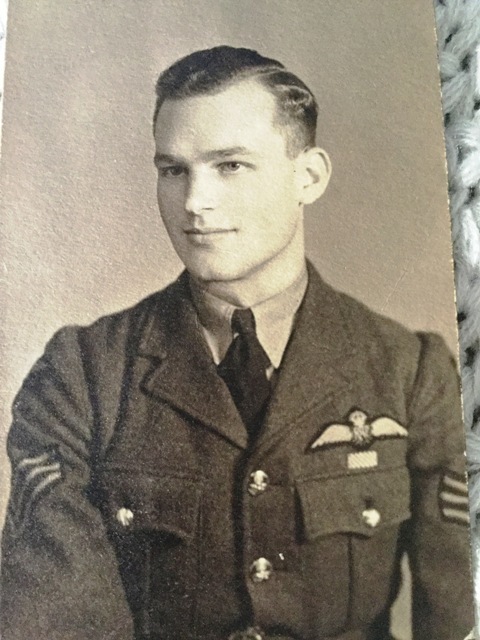 His father served with 115 Squadron at RAF Witchford from 11/4/44 to 29/4/44. 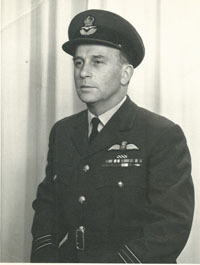 He joined the RAF in 1938 as a Halton apprentice and retired in 1976 as a Wing Commander. 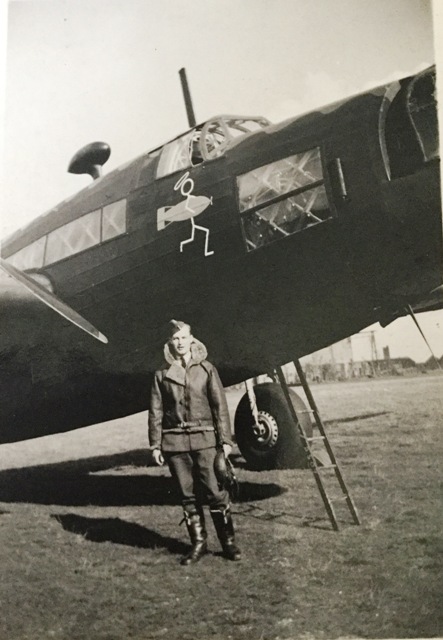 Whilst based at Witchford he was a pilot (Flying Officer) and flew Lancaster Bomber E for Emily, he completed a tour of 30 missions over occupied Europe. His first on 20/4/44 Cologne his final one 12/8/44 Brunswick. He died in 2011, aged 89. His mission list. The Crew: This is the back row only. My Father F/O Sweeney is in the middle of the 9 at the back so I presume the names relate to the 7 around him and don't include the airman at each end. Any information about the other people on the photo is welcome ! Lancaster Mk I - PD276 - KO-X. 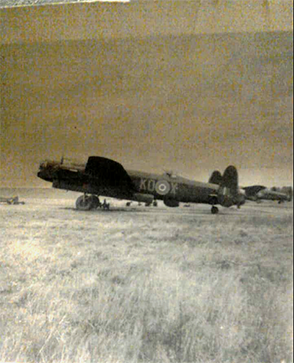 This Lancaster was lost on 25 October 1944 with another crew, there were no survivers. 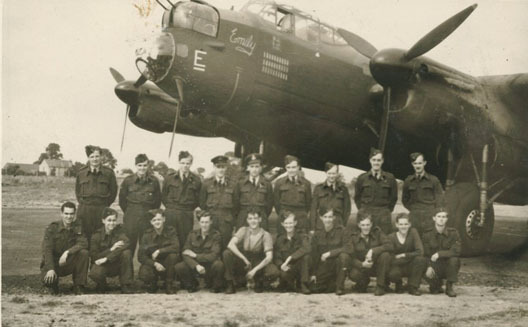 Thanks Mellissa Sheppard we have 4 more photo's of a 115 Lancaster crew. 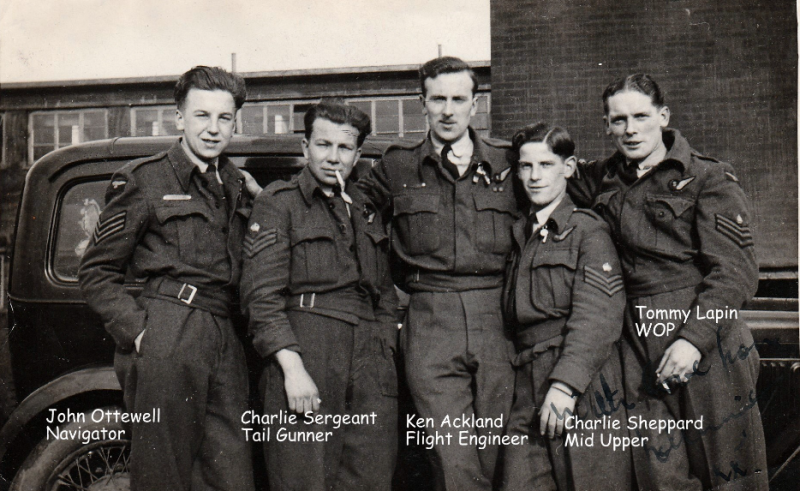 Second from the left her Father, Charlie Sheppard (DFM), later he was assigned to the Pathfinder's. Who has more info on the other crewmembers? Let us now. Thanks to George Allison we have another face to our Roll of Honour. 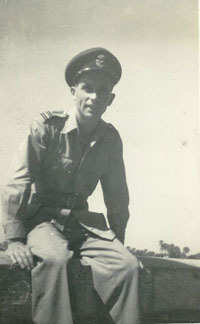 F/S John Laurence Duffy 413046 RNZAF. 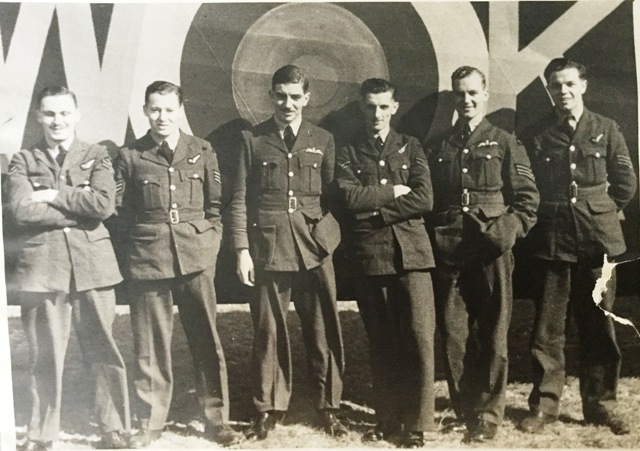 He was shot down with his crew on the 24th March 1944. There were no survivors. 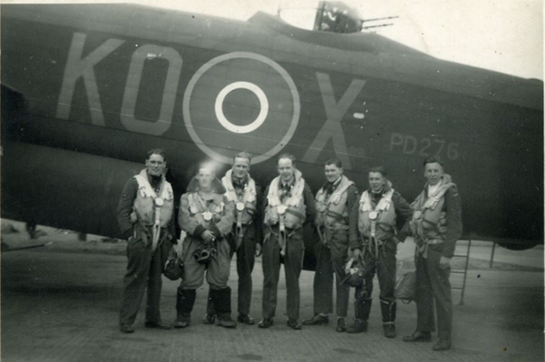 Thanks to Derek Bromby we received photo's of father's uncle pilot Morson Harry Jenson and his crew. The Wellington bomber IC T-2509 KO-W Crashed into the North Sea whilst returning from Berlin on 14th/15th Nov 1940. 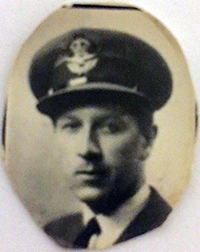 All crew survived, one crewmember, Dean Edgar Albert, drowned. 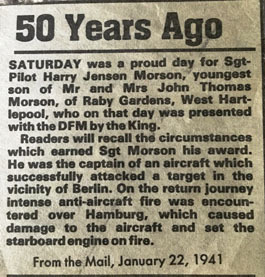 Harry later became a test pilot and unfortunately crashed in a Typhoon in Scotland leaving him with terrible burns to his face hands. 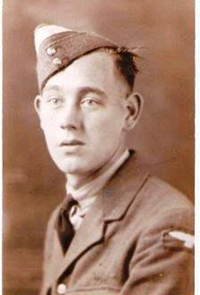 Lionel Walter Eade and his crew did not return from a mission on Hamburg 3 August 1943. Lancaster Mk II DS685 KO-A was shot down by a night fighter and crashed in the North Sea. Also were lost, Lancaster Mk II DS673 KO-V – no survivors, and Lancaster Mk II DS715 KO-Q – no survivors. On this mission 115 Squadron lost 21 crewmembers. Hello, My name is Valerie Davis. 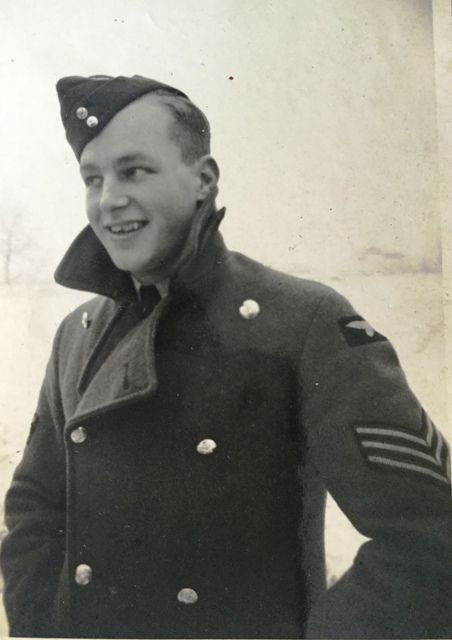 My father in law, Douglas Clifton Davis, was a pilot who flew Lancasters during WW2. I have done a lot of research and have his log book and service records. He was from South Australia and did a lot of his training there as well as in Victoria. 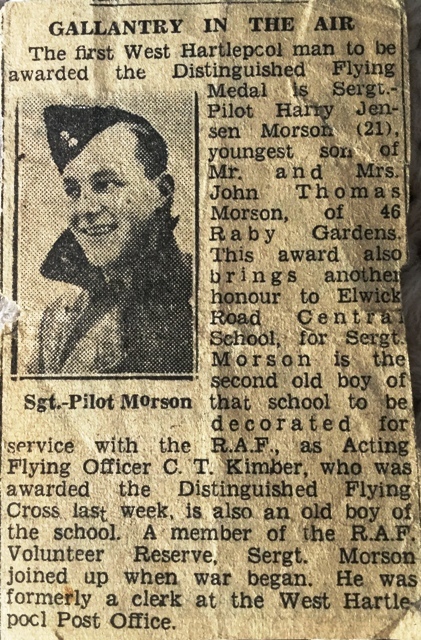 I know he was in 115 squadron as it is listed in his flying records but I can not find his name listed anywhere when I look for further information. Can you help? Regards, Valerie Davis. Western Australia. Who can help Robert ? I recently bought online a badge for 115 squadron. The person I bought the badge from had originally bought it with a mourning locket containing this photo. I suspect he was KIA. Although not necessarily with 115 squadron. To be honest, I'm relying on an old member of the squadron recognising him. 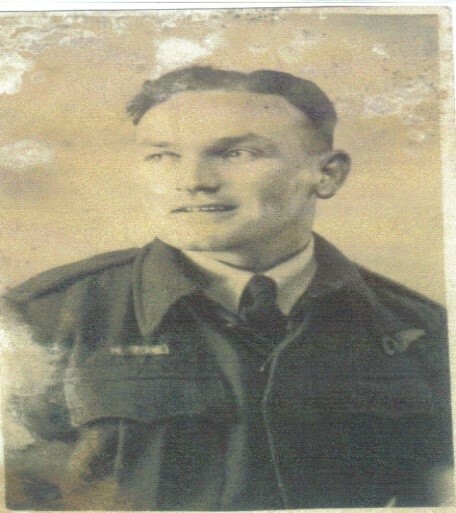 I thought it would be nice to try and trace the history regarding original owner and wondered if someone recognised the person in the photograph. I would really appreciate any help you could give me. I am afraid that it really is a challenge!